Ski apartments with pools 5 of the best, chosen from our superb selection of over 70 luxurious ski apartments with shared pools in the French Alps and Pyrenees. The MONDA101 Les Deux Alpes apartment for 10 people stands out as one of the best luxury apartments available in one of the top ski resorts in France. The shared facilities of sauna, pool and steam room really make it something special. 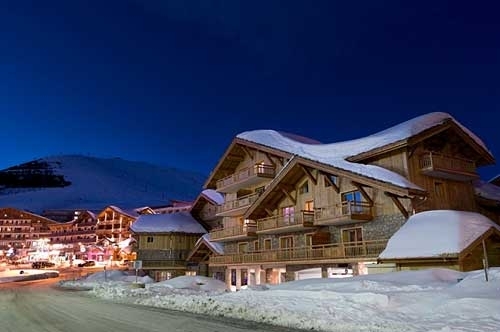 Les Houches is one of those ski resorts that not many people have heard of but it is a gem for family ski holidays due to its reliable skiing in all conditions and access to the Chamonix Mont Blanc ski circuit. Les Houches MONLH08 apartment for 8 is real class. It’s great to be able to ski in and ski out of your apartment on a skiing holiday. 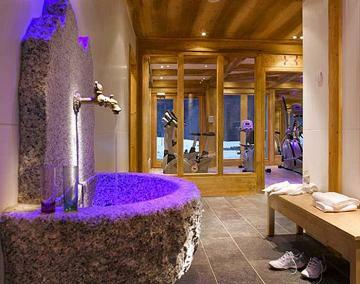 Arc 1600 RAN601AC apartment for 6 gives you that facility at a very reasonable price, in one of the top ski resorts in Europe. Plus there is the pool for relaxing. Our choice for the Pyrenees is MONSLE04 Saint Lary Soulan apartment for 4 which offers excellent value, superb pool facilities as well as hot tub, sauna and steam room. The snow is already piling up in the Pyrenees so the skiing should be great again. Serre Chevalier is renowned as one of the friendliest resorts in France, its also one of the sunniest. The RAN201SC apartment for 4 offers easy access to ski facilities and the resort centre as well as a fabulous pool for when you have finished sunning yourself. 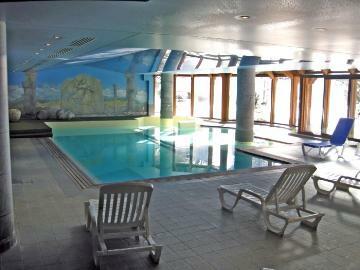 See our full range of ski apartments with pool, hand picked for you, by Villas Worldwide.